Health should be our number one priority; after all, we are not able to perform, accomplish, and achieve other things and activities in our lives if we are in poor health and unfit physical and mental conditions. That is why we have to take measures such as eating the proper diet, getting enough rest and exercise, and maintaining a stress-free lifestyle in order to keep our bodies and minds healthy. There are, however, circumstances we cannot avoid in which we fall victim to disease or illness—may they be genetically acquired or communicable diseases. When you fall ill or get injured, medication will be required after consultation with a physician. It is important to know and remember, however, that there are certain things you have to ensure before just popping a pill in your mouth and have a drug in your system. The first thing to do, of course, is to be properly informed about your condition, and the medication that is intended to treat it. Now you would probably think that since a particular drug was prescribed by your doctor, you don’t need to know about it and just immediately take it as prescribed. There were, however, numerous instances when the medication itself just caused further complications, and have untimely brought about the presence of another illness. As it turns out, there were ingredients in the medicine that had adverse effects on the patient. This would have been prevented if the medication was checked in the first place. That is why it is extremely important to know about the kind of medicines you are taking first before taking it in. In addition to that, getting the required medication from a pharmacy you can trust is equally important, as you have to ensure that the medicines and supplies you are getting are safe, authentic, thoroughly checked, properly labeled, and of course, of good quality. 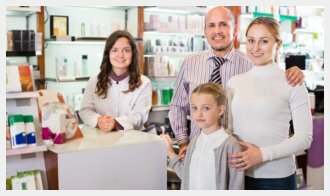 Maxwell Pharmacy is a fast and reliable pharmacy in East Harlem New York that serves only quality, authentic, and thoroughly-checked pharmaceutical products and medical supplies. Our team of reliable, friendly, and professional pharmacists aims to guide and help our customers in their path to recovery and wellness. This is done by providing professional healthcare advice through pharmacist consultation. At Maxwell Pharmacy, we continuously strive to be a high-quality and dependable drug store in East Harlem New York by selling only safe and affordable pharmaceutical products and medical supplies. On top of that, we also offer services such as auto-prescription refills, generic plans—to provide you with a more affordable alternative to branded medication—and even home deliveries, for when you are not able to acquire your prescribed medication from our store. Our services are aimed at helping you on your path to good health and wellness while giving you the convenience you deserve. Visit our retail pharmacy in East Harlem New York today to know how we can be of good service. This entry was posted in healthcare and tagged Medication Intake, pharmaceuticals, Things to Remember. Bookmark the permalink.